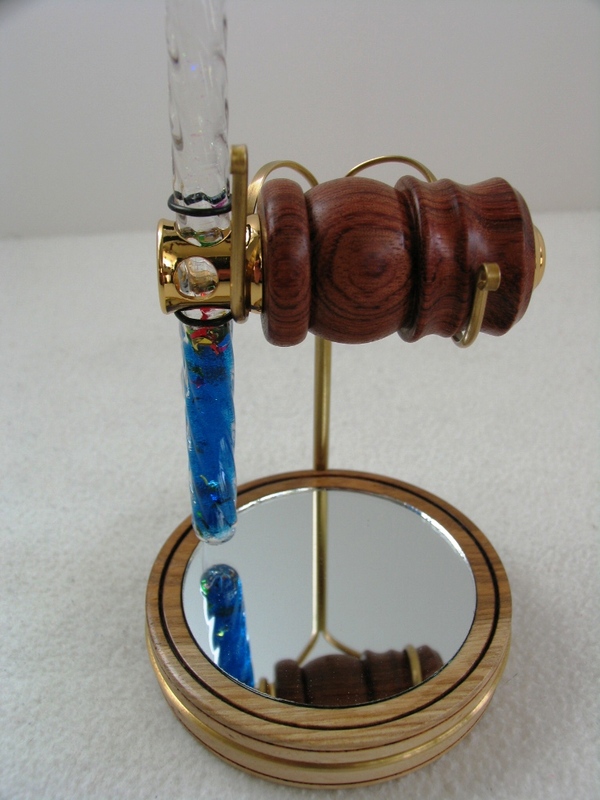 These kaleidoscopes are great fun and come in blue, red, or green color tubes. $45 - $55. The mirror stand is optional @ $20. 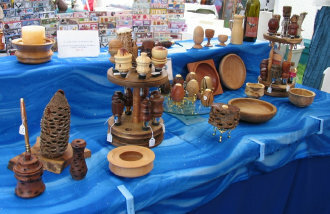 The items on this table are a few examples of turned items. 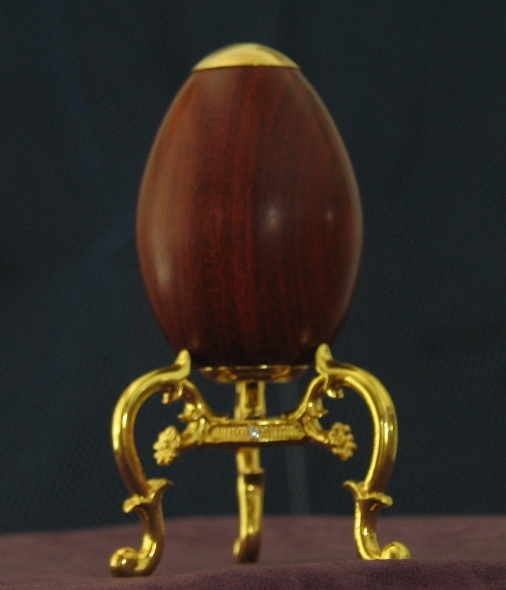 There are bowls, Banksia pod kaleidoscopes, bottle stoppers and egg kaleidoscopes. Prices vary from $35 up to $250. This is one of my Pine, Beetle kill bowls turned with wood obtained from the Winter Park, CO area. 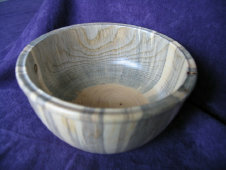 I also have bowls created with Aspen, Cedar, Brazilian Cherry and other woods.$35- $350.